Allergology is a specialist field in medicine that focuses on the prevention, diagnosis and treatment of allergic diseases. The drastic increase in allergies, particularly in the Western world, has accompanied a significant growth in the importance of these treatments. 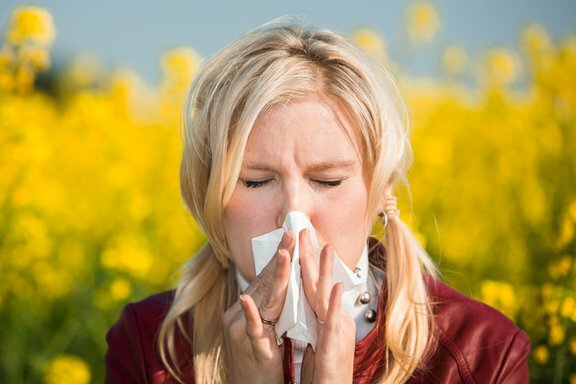 Allergies greatly reduce the quality of life of those affected. The symptoms in some cases are not only unpleasant and annoying, they can also be dangerous and in the worst cases even turn out to be deadly (e.g. anaphylactic shock). Depending on the type of allergy, there are a variety of diagnostic tests that can be carried out. For acute response allergies, there are a variety of skin tests (skin prick test, scratch test, intradermal, epicutaneous tests) along with blood tests (RAST, IgE) which are carried out. For late-phase response allergies, epicutaneous tests (patch tests) come into play. Once the cause of an allergic condition has been determined after an in-depth diagnosis, a variety of therapeutic measures can be carried out depending on the findings. This includes medicinal therapies, naturopathic procedures or allergen immunotherapy (allergen injections). Allergy training courses can also help to understand allergies and to avoid the corresponding triggers. Allergies and their corollaries can be effectively treated today and the symptoms significantly relieved. A complete cure, however, is normally not possible. The immune system’s predisposition to develop allergies will remain. Immunotherapy (allergen injection) can ideally lead to a lasting tolerance of the particular allergens.